Over the last few years, ANSYS finite element software has established as a leader in the simulation of complex and non-linear behavior of structural materials. This course covers concepts of Non-Linearity of Materials, and focuses on exploring the variety of plasticity models available in ANSYS Mechanical, through practical examples. Face-to-face intensive training with ESSS specialists. Each course topic is followed by one or more workshops and hands-on exercises. 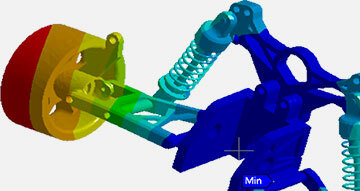 Basic knowledge of structural simulation with ANSYS.